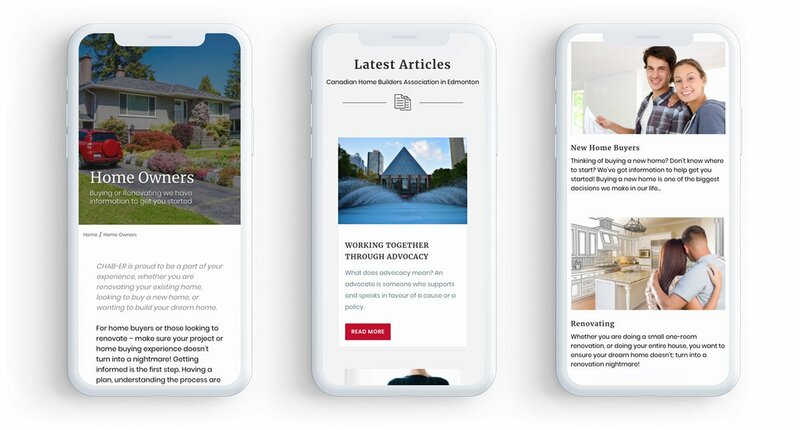 The Canadian Home Builders Association- Edmonton Region, is the voice and go-to resource for the home building industry. They came to us in search of a more modern and user friendly website that would set the standard in home building. One of the main design difficulties was how to incorporate the old with the new. CHBA has a long history of providing services to Canadians. With that history was a branding that needed to be consistent to the old while feel and move the site to modern times. CHBA needed to be a flagship to all members in the sub industries and trades they represent. This meant that they needed detailed customizations and a vast membership database which made their site unique. CHBA needed a lot of customizations for their website including a member portal, forms for becoming a member, member search functionality and security access to different parts of the website. We gave them all of this and more!